Rallying Darknests in Lords Mobile is probably the best way to improve your war techniques without actually worrying about a counter-attack from whomever you just hit. It is the bread-and-butter of earning rewards, and it is a great way to build guild participation. Darknests are the secret-sauce to becoming an advanced Lords Mobile player! Many Guilds will have a set amount of minimum Darknest victories per day, and others will, like doofuses, completely ignore the Darknests. Don’t be a doofus. Or do… I don’t care. Like usual, Lords Mobile likes to romanticize things that should be rather simple. We will skip their romantic explanations and just keep it technical and professional (with a small dose of sarcasm and wit). A Darknest is a computer-generated player that is scattered throughout the kingdom. If you manage to defeat a Darknest you will receive a Dark Essence. 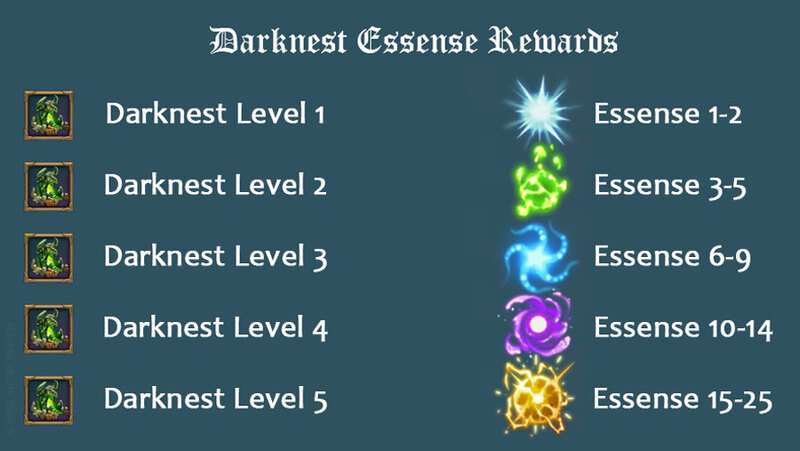 Dark Essences can be converted into fantastic rewards. A minimum of two people will need to be in a rally in order to destroy the Darknest. Even if you are strong enough to destroy a Darknest all on your own, you will still need an additional player to send at least one troop in order to begin the attack. Why? Not sure! The good news. You can’t lose any troops against a Darknest. Some troops will go the infirmary, but you won’t actually lose any troops! Your heroes are also safe if you lose the rally against a Darknest. The first step to starting a Darknest Rally is to find a Darknest and to click on it. Scouting a Darknest does not activate Battle Fury and can also be done while keeping your shield up. Once you scout the Darknest you will receive a Turf Scout Report in your mail. The first thing that you should look out for is the reward. 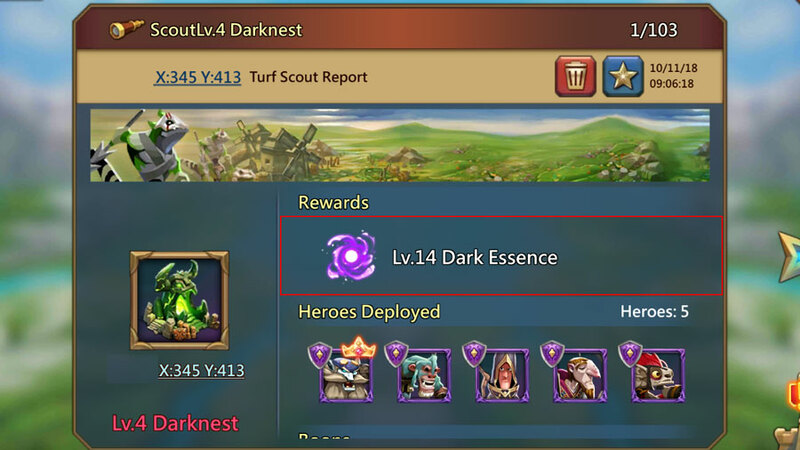 In this case, because we are scouting a Level 4 Darknest, the prize is a Level 14 Dark Essence. In general, the stronger the Darknest the greater the reward. If the Dark Essence is too low, and you have the man-power to attack a more powerful Darknest, keep scouting other Darknests. If you scroll a little down on the report you will see the troop, wall and trap breakdown of the enemy turf. This is the important part. The statistics over here will let you know if you have a chance of winning or not. Make sure that you put all the details into your calculations. Once you have scouted the Darknest, you will need to determine if you (and your guild) have the ability to defeat it. You will also need to decide who will be the best person to be the rally leader. It is critical to note that the entire rally will inherit the attributes of the rally leader. 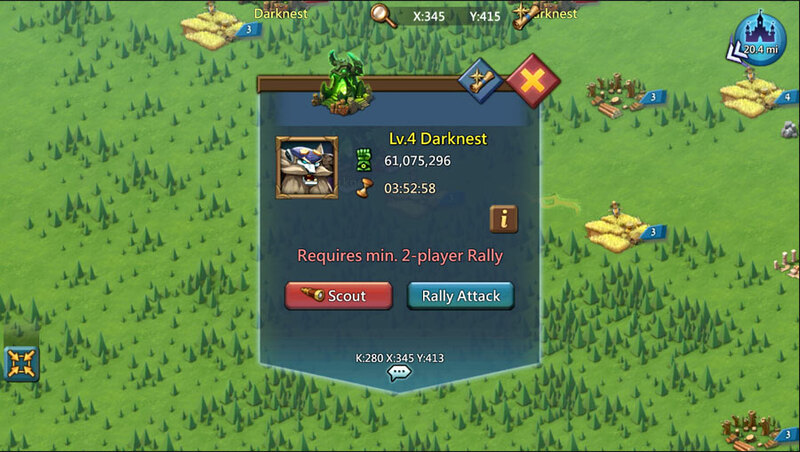 So if for example, the rally leader only has a total infantry boost of only 40%, and massive players join onto his rally (and they’ve personally researched 450% infantry boost), they will only receive the 40% boost for their infantry during the Darknest Rally. This also applies to Hero boosts, Gem boosts, and Darknest Research Boosts. How many troops and what type? Are there traps and how many? What is the Wall Health Power? Are there any boons active? If you decide to go ahead, and you are the appointed (or self-appointed) rally leader, you will be the one who will need to initiate the rally. 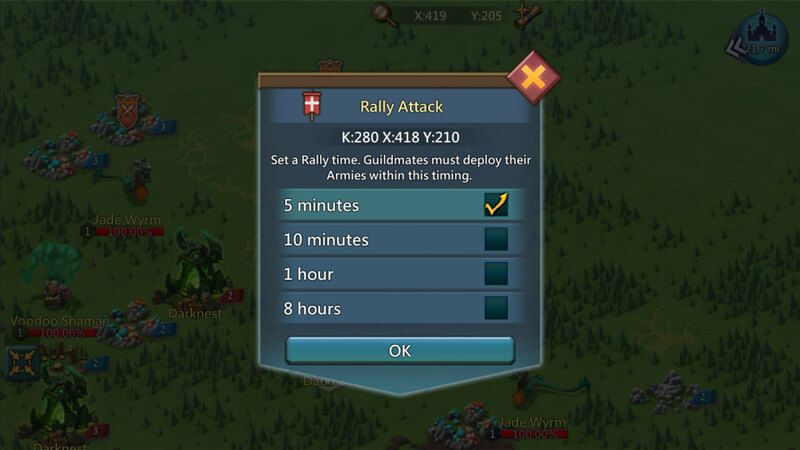 Click the “Rally Attack” button and proceed to the Rally Leader Time section. There are 4 options available when it comes to setting the schedule for the Rally Attack. If everyone in your guild is ready, just set the clock to 5-mins and get it over and done with. Quick and easy! If, however, your guildmates are picking their noses or not at the screen, you’ll need to give the clock some more time. 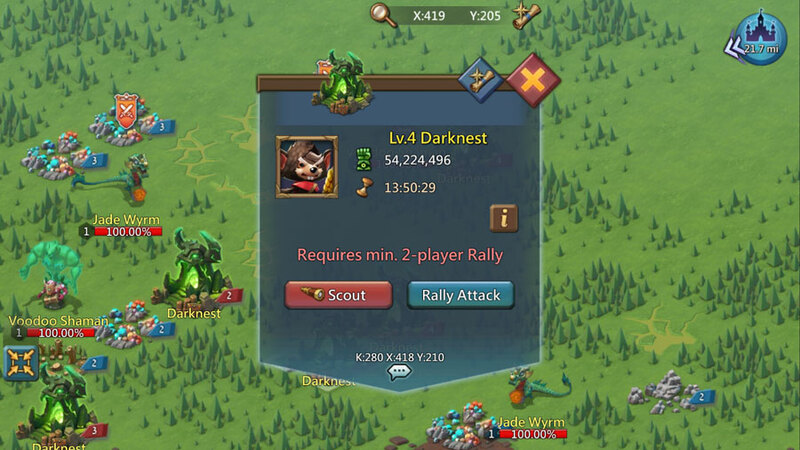 Also, if you’re rallying a Darknest that’s really tough and you want as many players involved, set the clock for 1 or 8 hours and let the rally simmer. Please note that while the players have their troops in the rally, neither you nor they can port around. You will all be stuck to your locations. The long rallies will get really annoying for players that are itching to fight. They won’t even be able to take their troops back unless you do it for them. Only plan long rallies after reminding people that the clock is running for 8 hours. How to Plan an Attack Strategy? 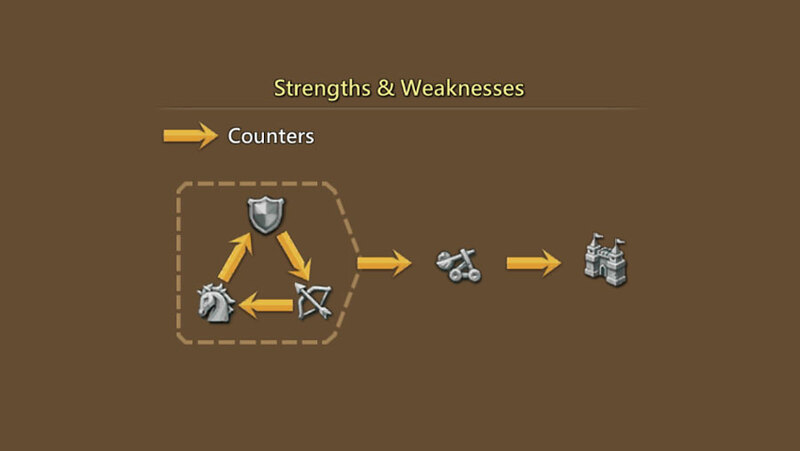 The chart below is the Attack Strategy screen from Lords Mobile. This chart will prepare your troop composition. This graph is all over Lords Mobile and it is critical to memorize it. I made a small mnemonic and it is now really easy for me to remember without having to look at a sheet. Who are we trying to fool? The mnemonic went over your head. In that case, just print a wall-sized print of the chart above and stick on one of your bedroom walls. This chart is obviously a gross oversimplification. It helps give you the principals, but it won’t help you fight. You will need a strategy. Keep reading the next section! Here is a hypothetical situation. 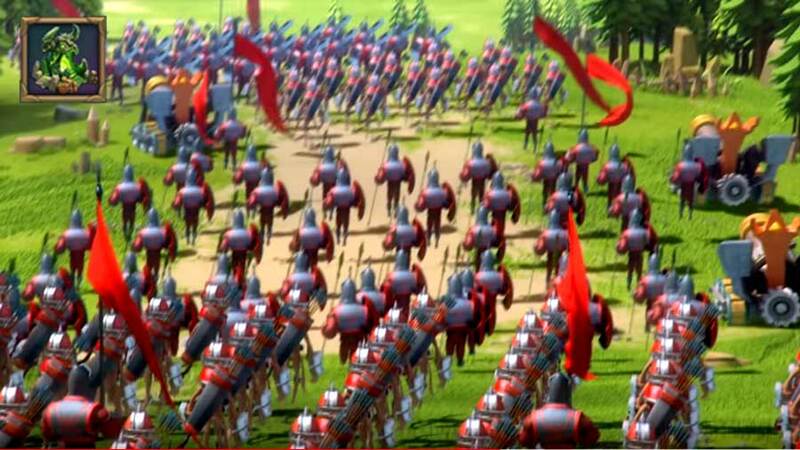 What if the Darknest has 100,000 infantry, 200,000 range, and 400,000 cavalries and you have only 700,000 troops to send? There are several strategies to use. None of them are wrong. Their applications will depend on your style and also on your personal strengths. Either you can counter with 100,000 cavalries, 200,000 infantry, and 400,000 range. This is called the “perfect-counter attack”. Some rally leaders will only always use this technique. (My Personal Preference) You can just send 700,000 range and focus your heroes, gear, and gems only for the range. 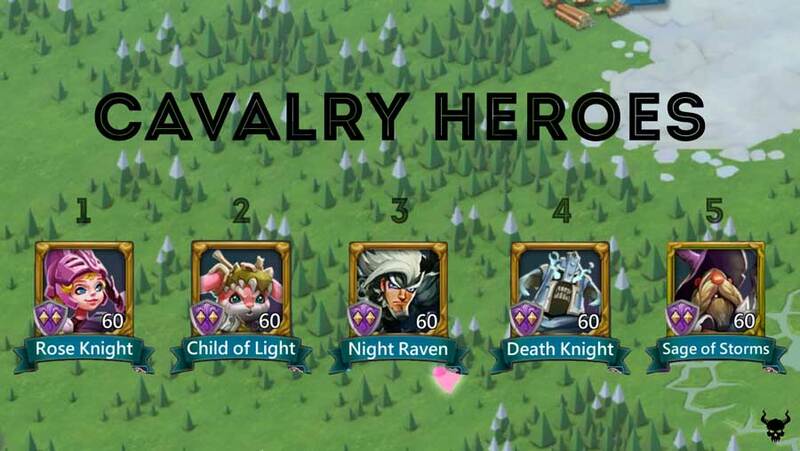 Many high-level rally leaders will prefer this option as they will have advanced heroes that will specialize in one troop type. I will sometimes also add 10% – 20% siege for high powered walls, if necessary. Usually, your the rest of your guild will mimic whatever lineup you do. If you send only range troops, they will also send only cavalry troops. It is a good idea to specify regardless. Just use the chat or guild-message to tell everyone what they should send. Slide the troops that you want. Important: Don’t forget to add the leaders. If you fight without the leaders you are asking for an infirmary full of soldiers for everyone! 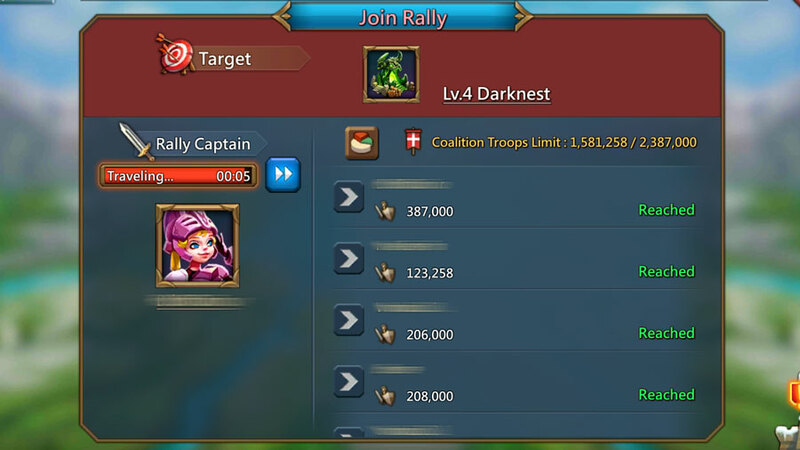 Once you’ve set the rally up, and (hopefully people don’t hate you and so) your guildmates start joining the rally, there’s still more work to do. You need to prepare your statistics in order to give as much power to the rally as possible. Spoiler alert: Positive energy vibes and good spirits won’t help even a little! Neither will yoga or meditation. As my fans already know, I’m not a fan of siege (and the friend of my fan is my fan!). It’s mainly a waste of time and space. Very few enemy players in Lords Mobile will ever have a wall that actually warrants the use of siege weaponry. Level 4 and Level 5 Darknests are an exception to this golden rule! Darknest walls can be millions of might strong. 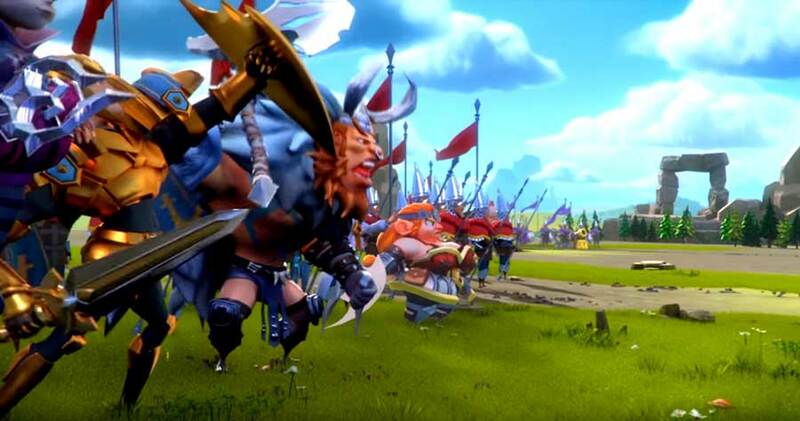 Your troops will be slaughtered by the time they manage to take down even half of the health out of the wall. 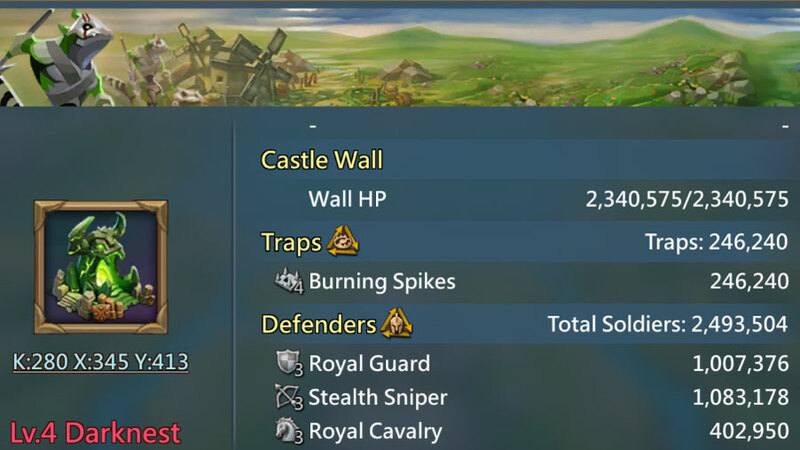 If the wall is under 4-million might (and you have t3 or t4 troops), you shouldn’t really need siege. 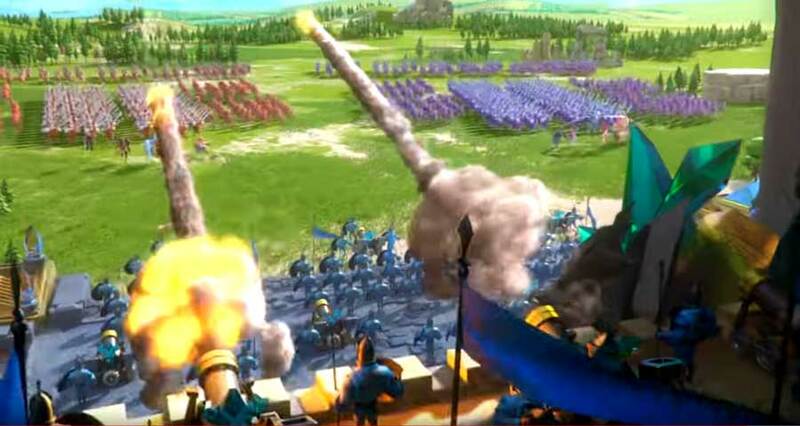 If the wall is stronger and you don’t have enough troops or if your leader doesn’t have strong gear, you may want to include a 5% – 10% siege. Most experts disagree with me and believe that you should never put siege into a Darknest Rally, especially in Darknest 4 and Darknest 5. 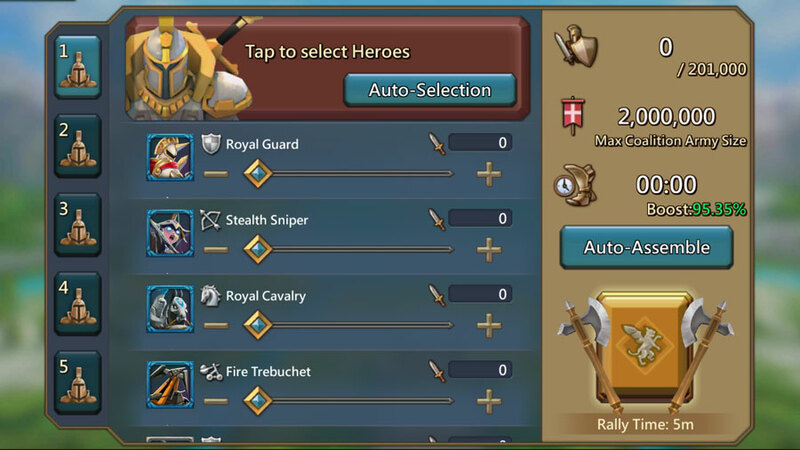 They say that you will want to get as many real troops into the rally in order to actually win and the siege will just be a waste of space. Everything until now was how to operate a Darkness Rally. There are, of course, many tricks to ensure that your rally is successful! Here are the best tricks in the book! This decision can be more impactful than the number of troops that manage to come into the rally. Don’t believe me? Ask anyone who has failed a lot of rallies. They’ll back me up. Or they won’t and in that case, throw them out of your guild. They’re a waste of time. Make sure to burn them before they port away. In general, I’m a big fan of Rose Knight. Bombin’ Goblin is also a great star when it comes to rallies. They are Free to Play and impact powerful army boosts. The heroes should obviously be focused on the troop type. If you are sending all range, don’t use Death Knight (he’s only good for cavalry). One more important note before continuing: you can only send 4 heroes with the same skill set. If you send 5 heroes that all focus on the same troop type, one will sit in the corner like a cranky child. And just one more time, Trickster is a great hero in general, but NEVER send him to battle! He’s as effective as Prima Donna! This list will really depend on which heroes you’ve advanced, but here are my favorite picks assuming that they’re all equal. I’ve placed them in order of effectiveness. Sage of Storms is as useless as he looks. You are better off using an army hero even if you have all cavs! I’ve also listed the Infantry heroes in order of effectiveness as battle heroes. I’ve only listed their notable battle boosts. I personally haven’t developed my range heroes to where I want them, and so I use my Army heroes instead of the traditional Range Heroes. But range heroes are critical when sending range. Make sure you send the right range heroes, because like the other troops, the ineffective range heroes are really bad! Trickster is useless in battle. He’s an incredible hero (possibly 2nd best F2P), but as good as a rotten tree in battle! Oh wow. Did you think I was going to put the siege heroes as well… That’s a funny joke. Gosh, I’m still holding my stomach from the laughter. Don’t use siege troops unless you are fighting a massive wall. A wall that requires siege heroes would need to be as strong as the Great Wall of China! As mentioned (and illustrated above) each darknest comes with a reward. The higher the level of the Darknest, the larger the potential reward. 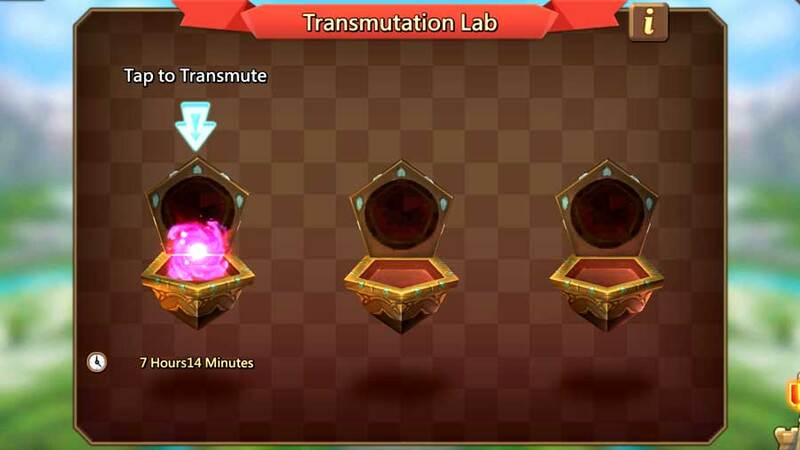 Once you defeat (or participate in the defeat) a Darknest you will receive an essence that will appear in the Transumtation Lab. To get the prize you will need to transmute the essence and wait, and then wait some more. When the essence is ready, you will receive a prize. The prizes are random and won’t be the same for the other members of the rally. 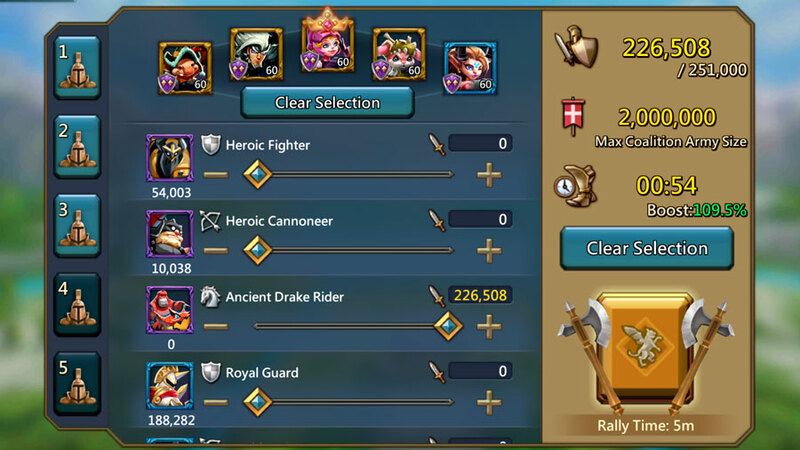 As mentioned before, everyone involved in the rally still gets the same level prize. If there is someone in the guild more equipped to lead the rally, let them. Even if you send one troop, you will get the Dark Essence. If you’ve been playing for a few months, you will probably come across the term “Fake Rally”. A fake rally is an effective way to hide your troops for 8-hours without shielding or sheltering. You can rally a target for 8-hours, ask no one to join and so long as the rally is still pending, all the troops and leaders that have been designated towards that rally are safe! It’s a great technique, but only a fool would fake rally a Darknest… If you plan on running a fake rally, make sure to only rally against a castle! Darknests are the bread and butter of Lords Mobile. Not because of the rewards. The rewards are great-and-all but hardly justify the bother. The reason Darknests are so important, in my not-so-humble opinion, is because the Darknest’s will train you how to become a fighting machine! The more Darknests you decimate, the more you’ll understand how a battle is done and how the troops can be best maneuvered. 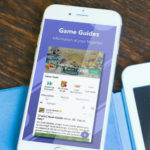 If you want to learn more all about defensive battle strategy in Lords Mobile, click here.